Maria Gabriela Isler, Miss Venezuela (25, from Valencia), was crowned Miss Universe 2013 at the night of November 9th in Moscow, Russia. 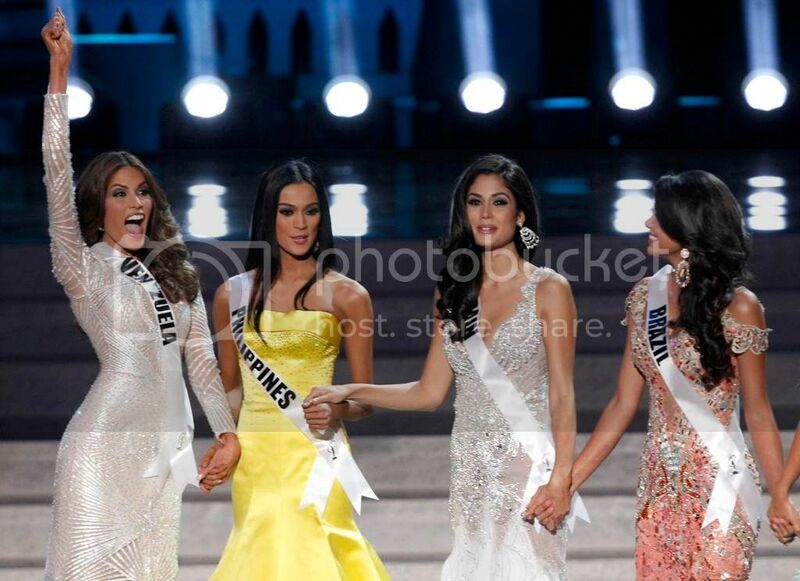 It is the 7th Miss Universe crown for the ‘powerhouse’ of beauty pageants. After a confusing announcement, Miss Spain Patricia Rodriguez was named 1st runner-up. Miss Ecuador Constanza Baez was the 2nd, Miss Philippines Ariella Arida was 3rd, and Brazil Jakelyne Oliveira was 4th runner-up, respectively. Candidates who placed in the Top 10 were Great Britain Amy Willerton, India Manasi Moghe, USA Erin Brady, Ukraine Olga Storozhenko and Dominican Repulic Yaritza Reyes. Top 15 quarter-finalists were the candidates from Costa Rica Fabiana Granados, China Jin Ye, Indonesia Whulandary Herman, Puerto Rico Monic Perez, Nicaragua Nastassja Bolívar and Switzerland Dominique Rinderknecht. The event was hosted by Thomas Roberts and and former Spice Girl Mel Brown. With performances from Emin, Panic! at the Disco and Steven Tyler, who happens to be one of the judges.